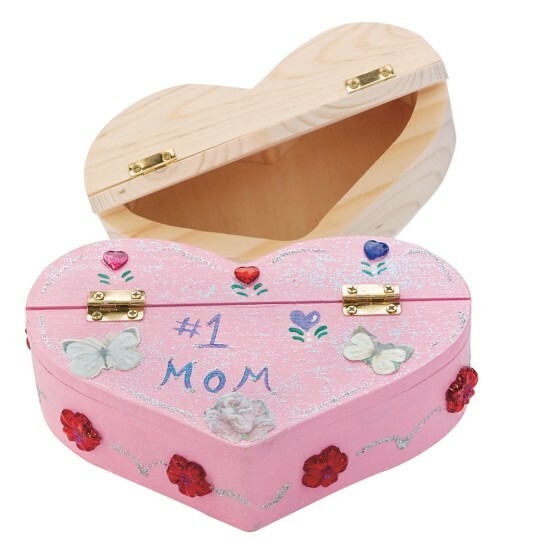 Perfect for storing keepsake jewelry, trinkets and other secret treasures! I use these types of products as jewelry boxes for for jewelry I make. I buy these by the dozen for work - activities/crafts for inpatient adult and adolesent psychiatric facility. 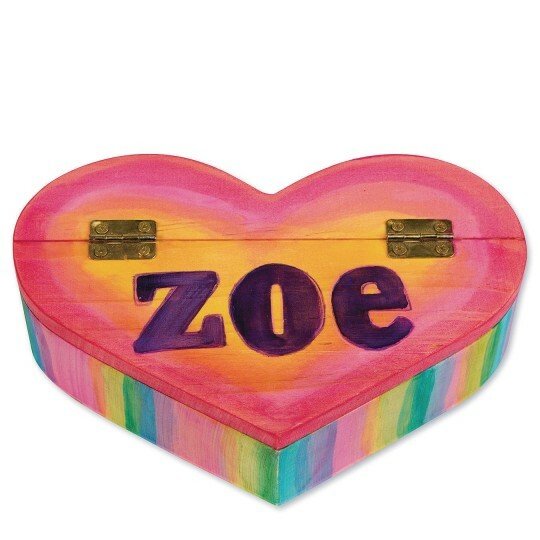 When my neice said she wanted a wood box craft project to paint and decorate I knew just what to get. 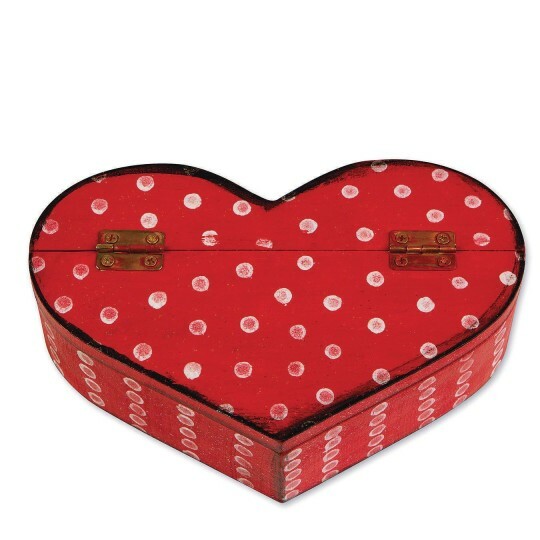 This is a fun pretty heart-shaped wood box. Good quality nice and pretty project. 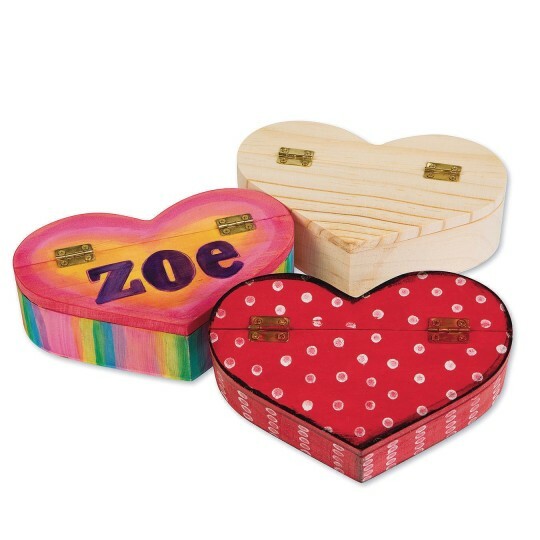 I used this product with my teens and they absolutely loved painting the boxes for their parents boyfriends girlfriends or themselves! They enjoyed this activity for most of my program time which that in itself is remarkable! 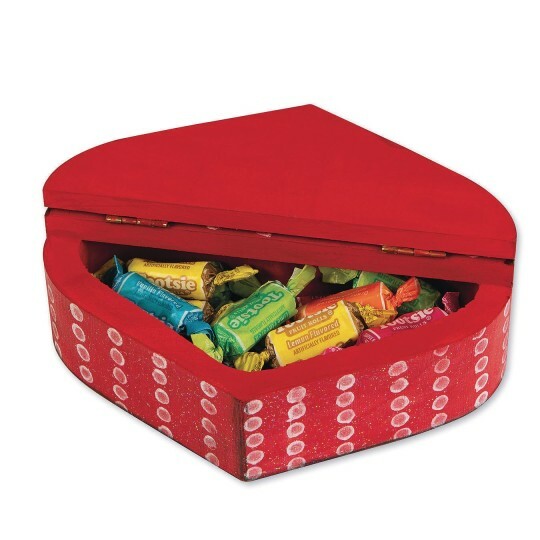 THESE BOXES WILL COME IN HANDY FOR JEWELRY OR TRINKETS OR CANDIES.